ah.. monday again & with it comes a whole lot of monkey madness. the weeks go by so fast. no sooner am i looking forward to what we'll get up to on the weekend than before it's all over again. anyways hope you enjoy a great start to your week. p.s. 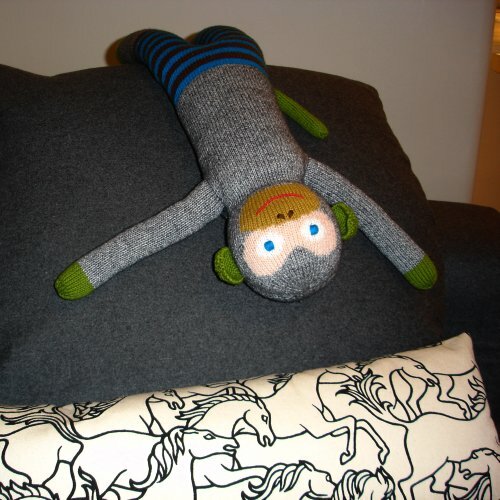 coco the monkey is mirka's absolute favourite at the moment & the little cushion is made out of florence broadhurst horses stampede fabric from signature prints.